7 Times That Wearing A Thong Is NOT A Good Idea! There are times when we’re wearing a very tight dress or pants made out of thin fabric. During such instances, a thong is the preferred option compared to other types of underwear. However, wearing thongs on an everyday basis is not healthy and there are times when you should never wear one. Here’s what they are! It is a bad idea to wear a thong if you’re going the micro-mini way. These micro minis may hike up when you’re sitting down in public. Which means you will be sitting bare on public seats and you may sweep up viruses and bacteria. If you’re wearing a mini skirt, it is advisable you wear seamless bikini briefs instead. When you’re wearing workout clothes, chances are you’re wearing them because you ARE working out.If you have a lot of running around or working out to do, wearing thongs will make your skin sore and prone to infection. Not to mention they will be uncomfortable and may give you unpleasant wedgies. Similarly, when you have a long day out, you should always wear underwear that is comfortable. Since a thong is designed to bite into your skin, it is best you only wear them only when they’re really necessary. 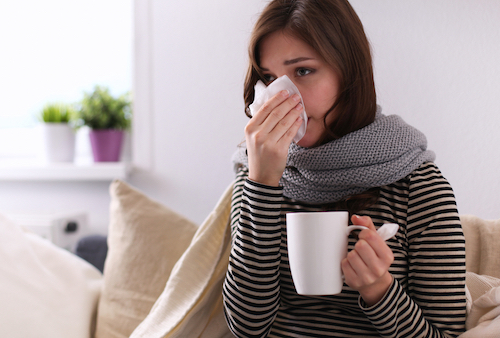 If you’re unwell, you immune system is already in a very shaky position. Since thongs will not do the job of protecting your delicates, you will be more prone to urinary tract infections and other such diseases. One should never compromise on the importance of clean and safe innerwear while ill. When you leak or discharge, the fluids are acidic in nature. The settling down of acidic stuff in tight thongs will irritate sensitive skin and cause rashes. Rashes in the vaginal area are very unhealthy for women as they may trigger many other infections. Not to mention the discomfort! When a woman is pregnant, her immune system isn’t all that strong since the body will be going through a lot of hormonal changes. Since wearing a thong makes it easier for bacteria to find its way to your body, it is considered very harmful for pregnant women as well as the baby.